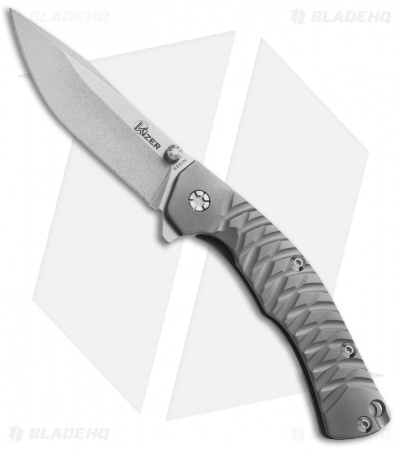 This beautiful knife from Kizer is as hard working as it is attractive. The blade is made from heavy duty S35VN stainless steel and offers a super sharp clip point and a contemporary stonewash finish. It has both ambidextrous thumb studs and a flipper so opening is smooth and easy. The curved handle is made of titanium with a smooth, satin finish and features a deep cross-hatch design to enhance grip. 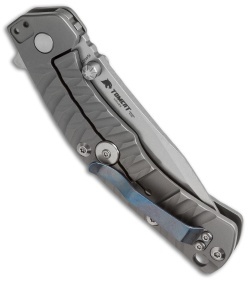 A reversible pocket clip on the back can be changed for either tip-up or tip-down carry, and a lanyard hole is available for either decorative of security purposes. Lightweight, durable, easy to use - the perfect working companion on the job or at home.